What I'd like to know was if there were 2 pubs named Glegg Arms and if so, where would the Thurstaston one have been. Last edited by derekdwc; 1st Jun 2017 9:44pm. I have never heard of a Pub at Thurstaston named the Glegg Arms. The only one being at the Gayton Roundabout, Heswall. The Cottage Loaf was the Pub at Thurstaston , don't know how long that has been there and by the same name (I think it still is) but it goes back years and years. Opposite Corner to The Glegg Arms at Gayton roundabout is The Devon Doorway, another that has been there for years with a thatched roof. Have you got the one in Barnston Village , The Fox and Hounds ? That goes back a long ,long time a few hundred years to 16th century when a Pub was on the same site. That is still run on the old ideas (can't think of what it's called) I think the others are all owned or run by companies. You know that feeling when you go into a Pub and it's much the same as the last ?? Boring ! Anyway, you probably didn't want any of that info so I'll say goodnight. 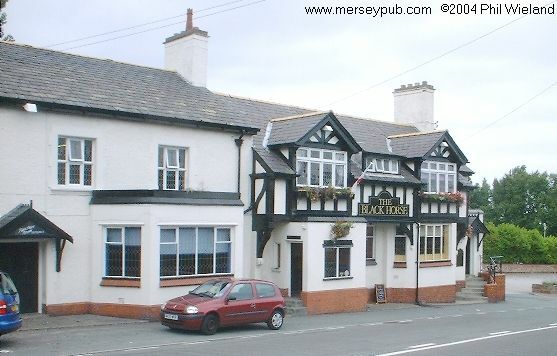 Sorry , forgot the Black Horse, West Kirby. Black Horse Hill, and it's changed it' name now to 'The Viking' or something like that. Silly name ! Last edited by granny; 2nd Jun 2017 12:51am. Both West Kirby and Birkenhead had areas called "Grange" which no doubt added to the confusion. Gayton most certainly wasn't part of Great Neston anywhere around 1878 but I wouldn't exclude there having been a Glegg (or Clegg) Arms in Neston at some time. Here you are : Joseph Broster. Tennant farmer at Glegg's. Irby Hall 'could' be classed as Thurstaston, even though the hall is on Irby Road now. I assume the land went down as far as Thurstason, as there are said to be underground tunnels from the Hall, leading to the river Dee at Thurstaston. "My great great grandfather was John Broster, born 1830 died 1919. He was born in Thingwall of John Broster (born 1802) and Jane Ellis of Woodbank. From 1842-1851 he lived at Irby Hall where his father was a tenant farmer of the Gleggs. In 1853 he took the tenancy of Elms Farm, Pensby and in 1871 they were at Bridges House Farm opposite the top of Boat House Lane, moving to Wallasey Lodge Farm in the late 1870's through to late 1910-5. Last edited by granny; 2nd Jun 2017 1:05am. 1874 directory, still there in 1881,William Powell, Black Horse. Last edited by bert1; 2nd Jun 2017 5:56am. Here is clarity of location. This might also be of interest Derek. Last edited by granny; 2nd Jun 2017 11:10am. Thanks granny, some fine researching. Last edited by derekdwc; 2nd Jun 2017 11:21am.